I’ve been writing these reports for around ten years at this point, and I’m pretty confident in saying that this January was one of the best months for trout fishing in that time period. 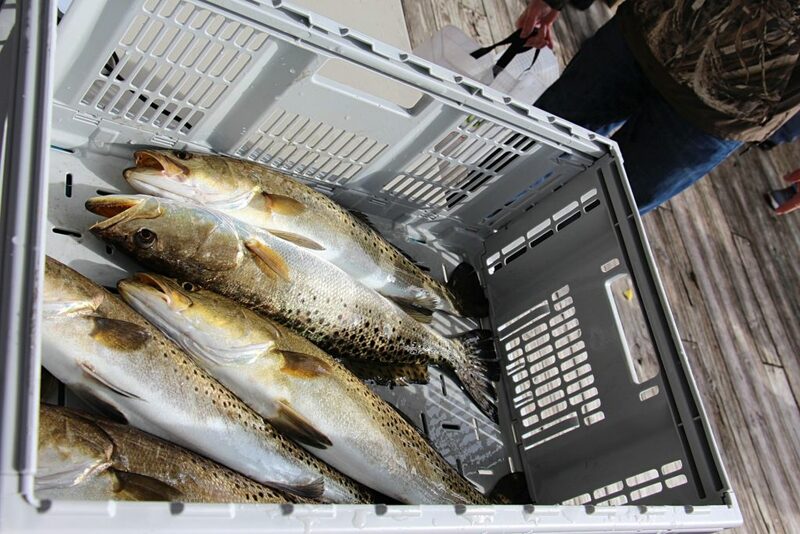 The relatively warm temperatures kept the larger fish on nearshore flats in great numbers. 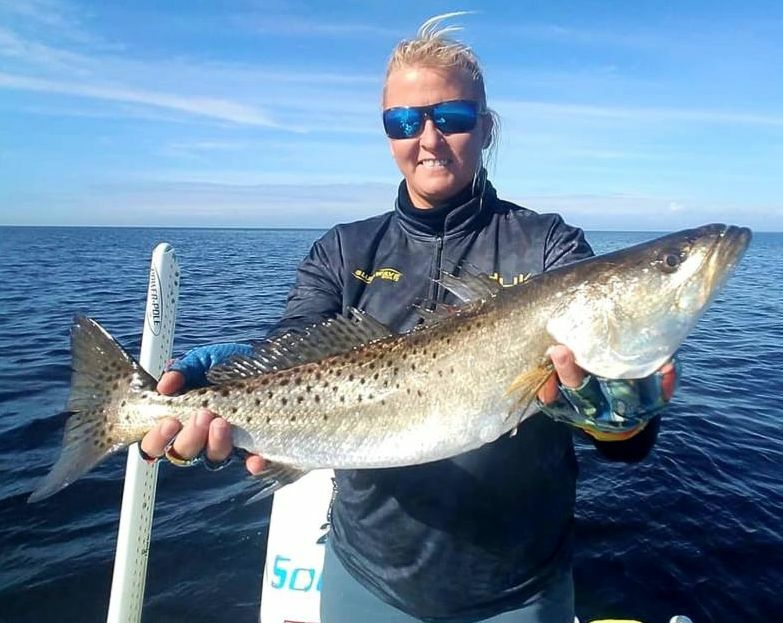 Many guides had problems finding keeper fish that were less than 20 inches (only one trout over 20 inches can be kept per angler). That’s the magic of winter fishing; it’s very temperature dependent, but it’s the only time of year really large trout will school. Most of the year they are solitary. Mid-month, Tommy Thompson and I took out several friends for a two-day event, and we had to cull oversize trout each day. 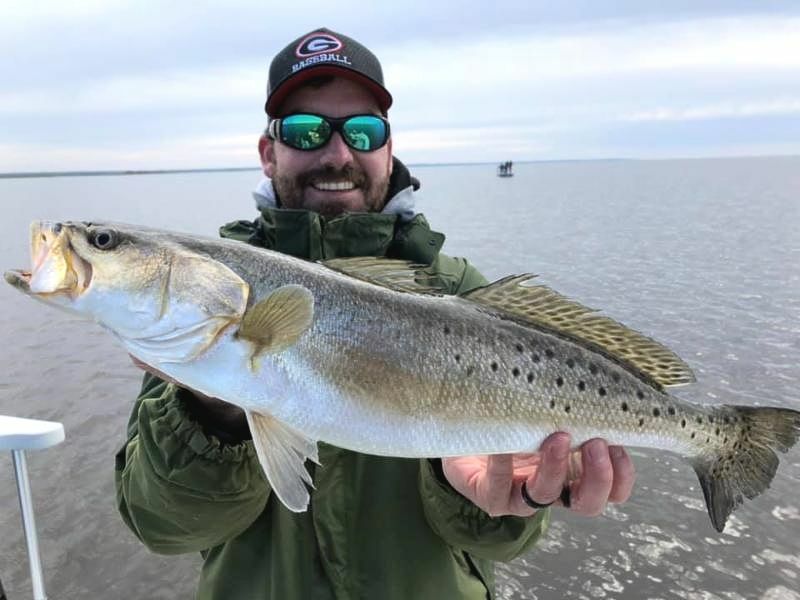 Just to make things even better, there are plenty of hungry redfish hanging near shore as well, especially around structure. 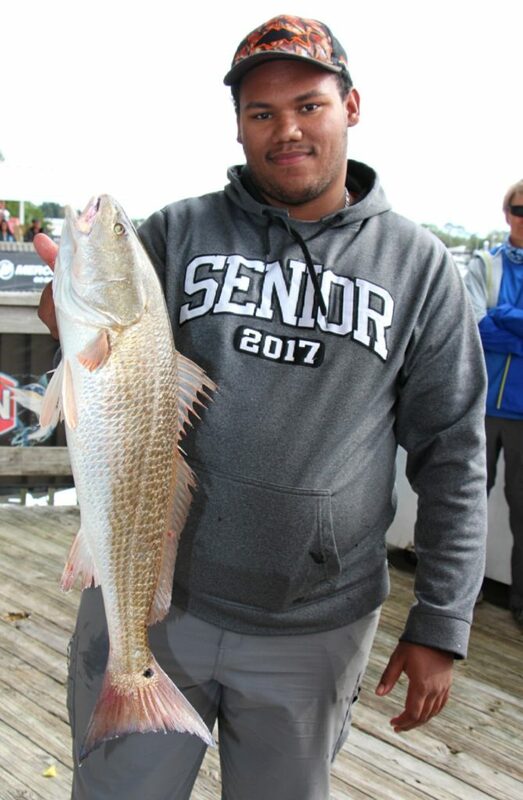 The Santa Fe Raiders tournament brought out a number of serious anglers and they brought in some amazing fish. 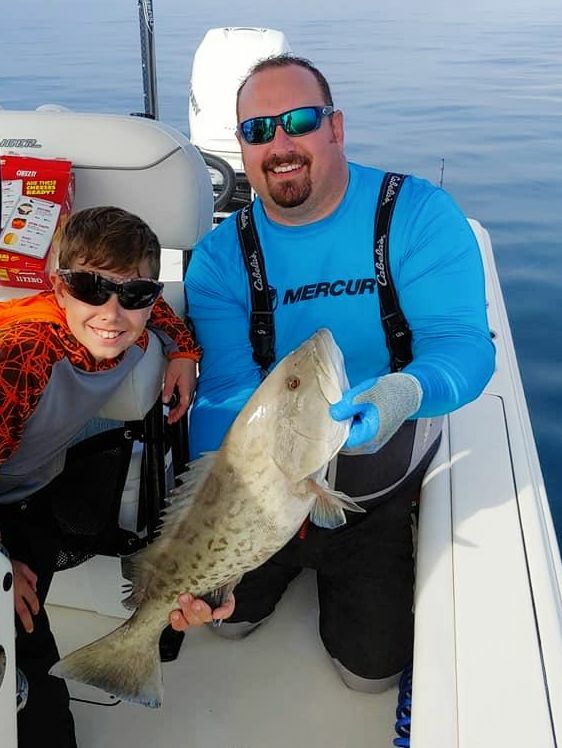 And to top it off, there were some huge gag grouper brought in as well. It was an amazing month, and here are some pictures to prove it. Doug Barrett fished with me and found this beautiful trout…. …and then followed it up with this redfish. 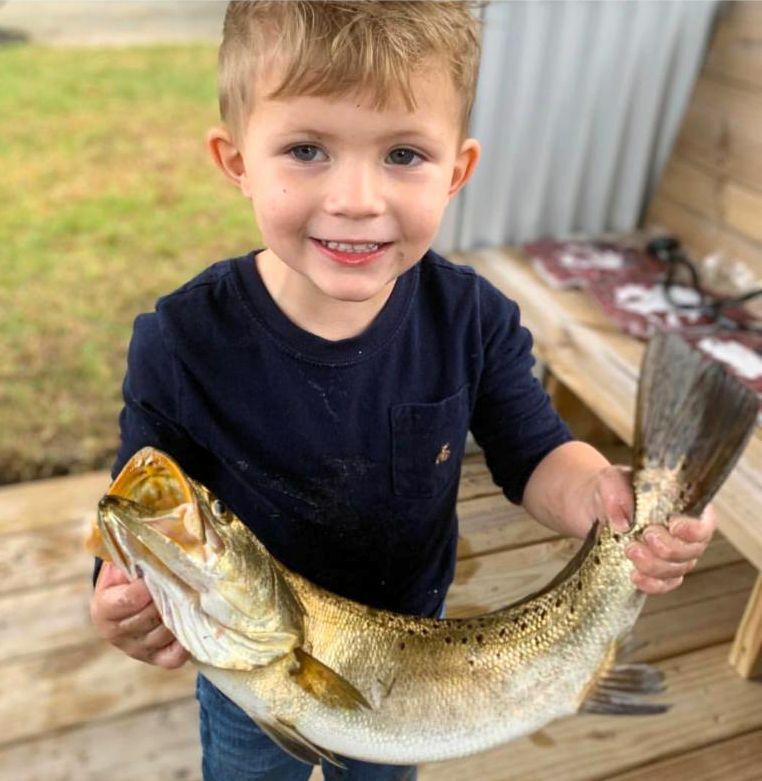 Doug’s granddaughter Grayson came down from Atlanta to find this seatrout. Friends Bill and Sheila Rees found these giant trout in a creekmouth. 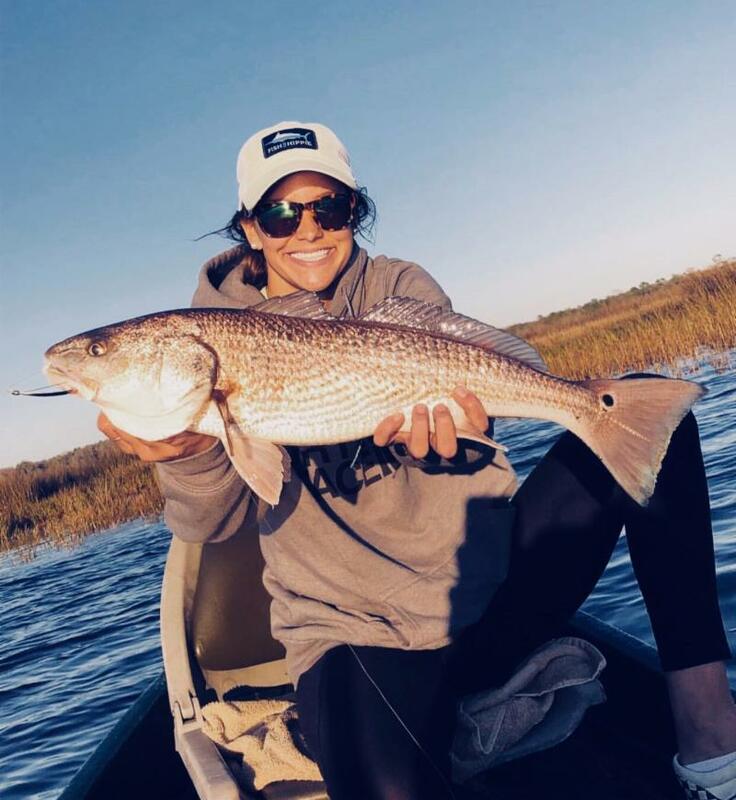 Brooke Ruud with a pretty redfish. 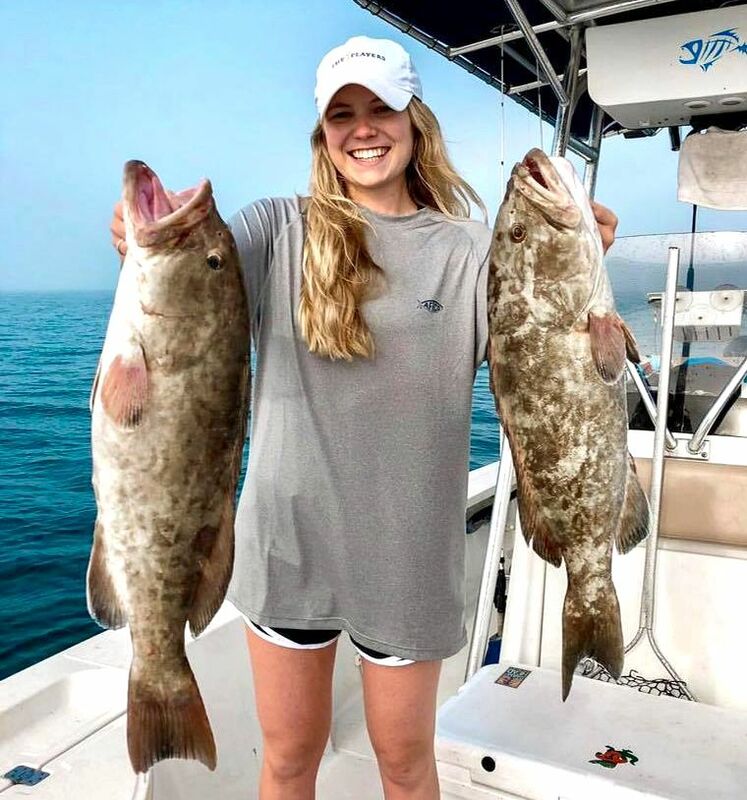 Caroline Buchanan went offshore and took home some gag grouper for dinner. Jason Jacobs caught this gator trout on a topwater plug in 53 degree water! Sam “net man” Gober took this trout home. Max Leatherwood with the surprise catch of the month: this young tarpon just off a marsh line. 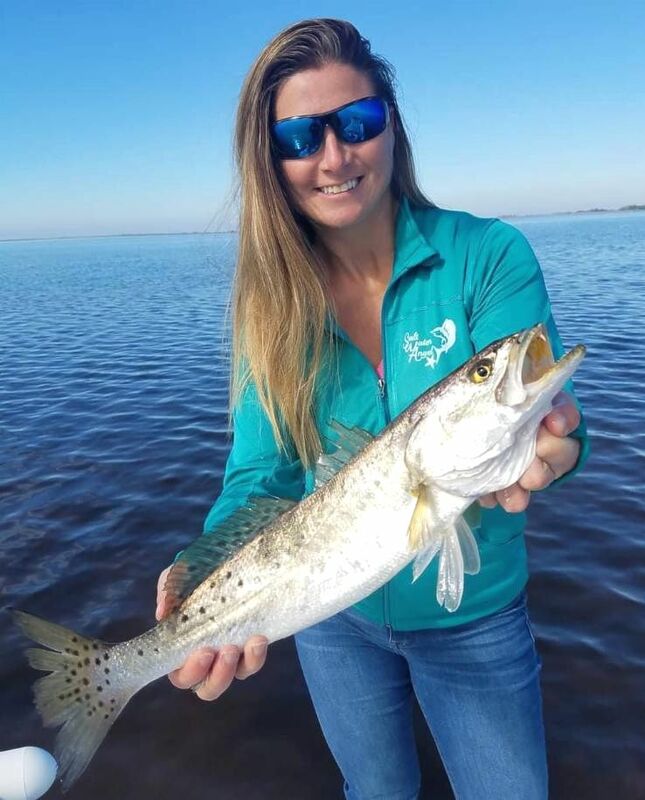 Jennifer Poppell with another fine spotted seatrout. 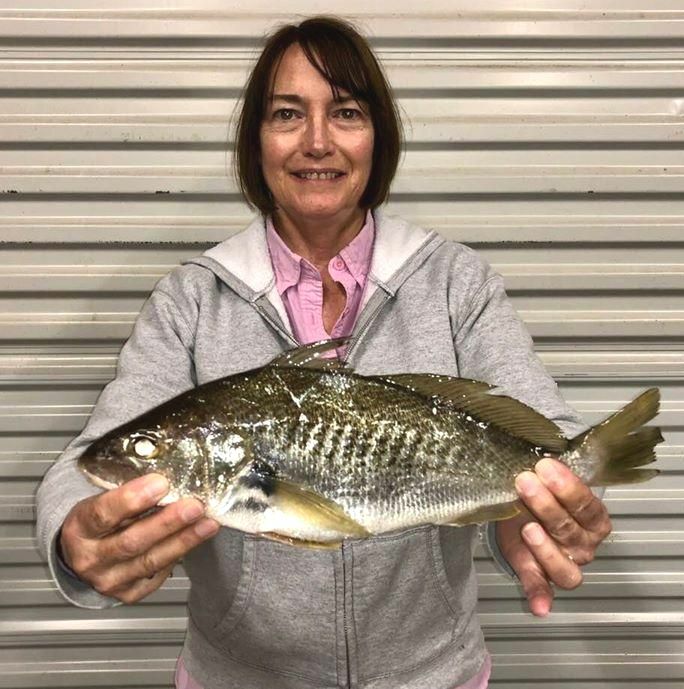 Marcia Ellett set a new Gainesville Offshore Fishing Club record with this giant croaker. 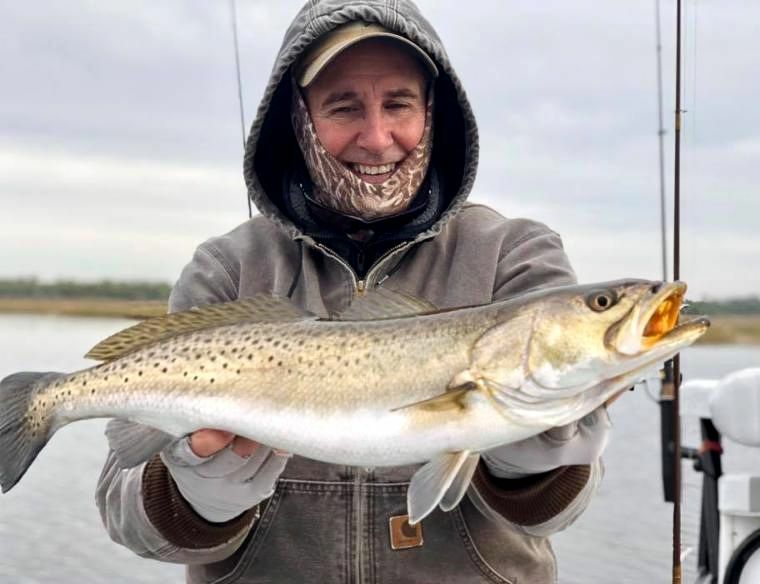 What might have been the biggest trout of the month, caught by Capt. Bobbi Brady. 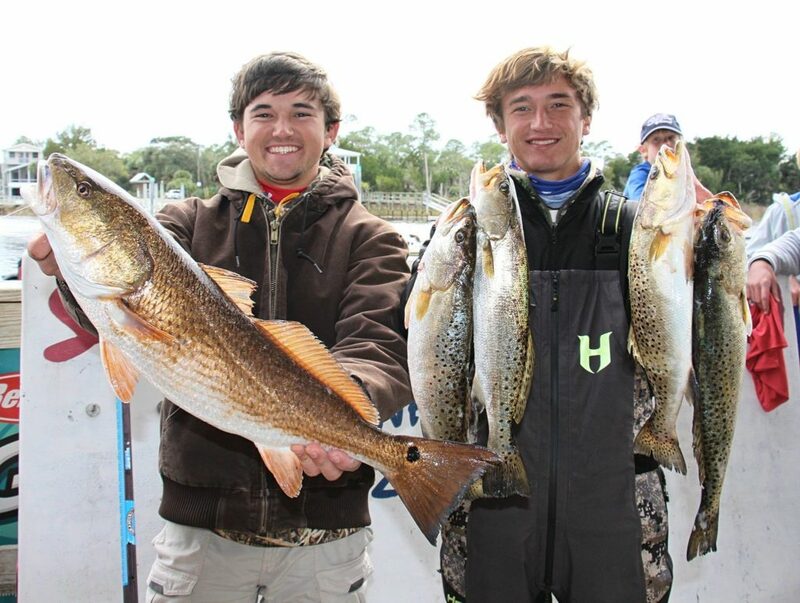 Chase Norwood and Connor McKinnon fished the Santa Fe Raider tournament and came in with this fine bunch of trout and redfish. 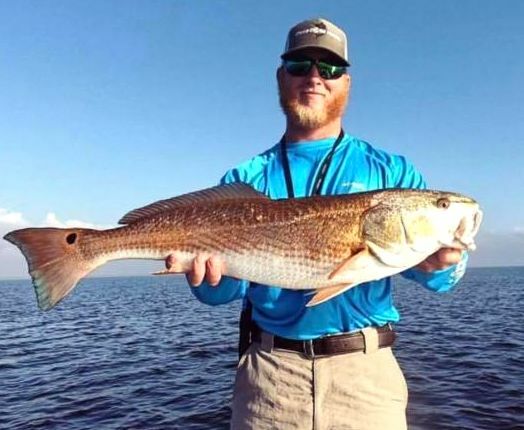 CJ Bozeman weighed in this redfish. 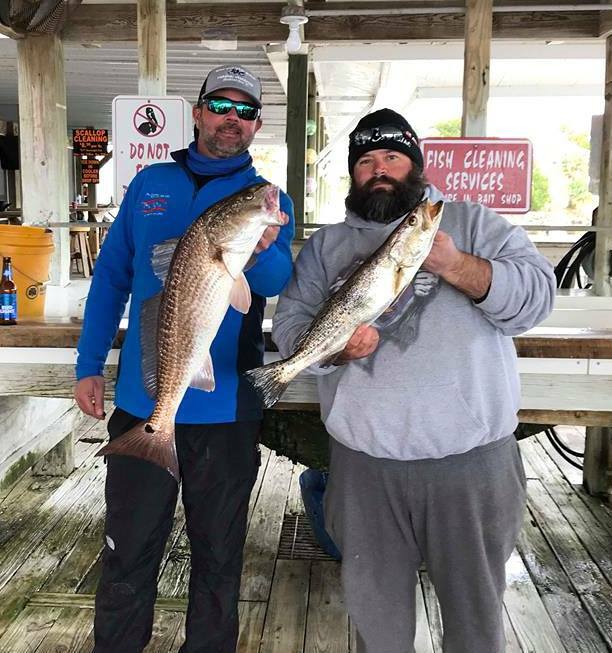 James Dechow and Clint Lee had the winning redfish entries. 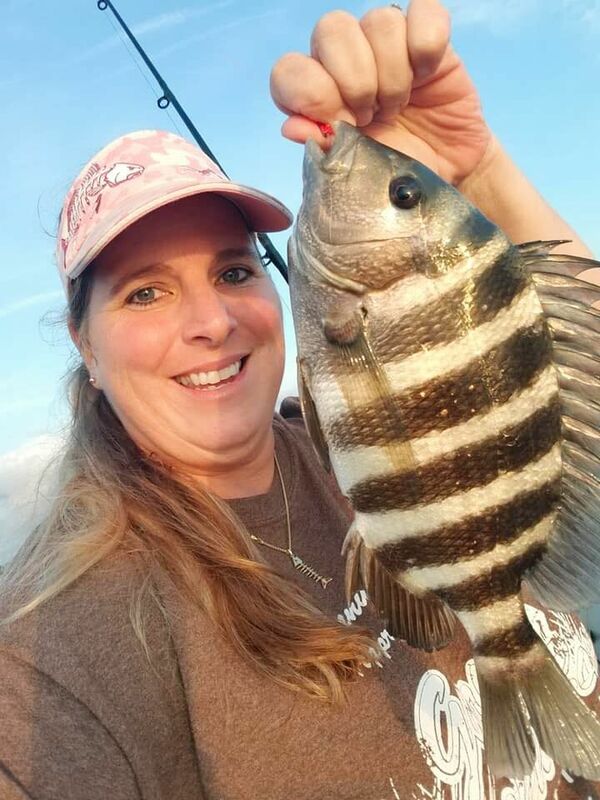 Jennifer Hart reminds us that sheepshead are coming…. 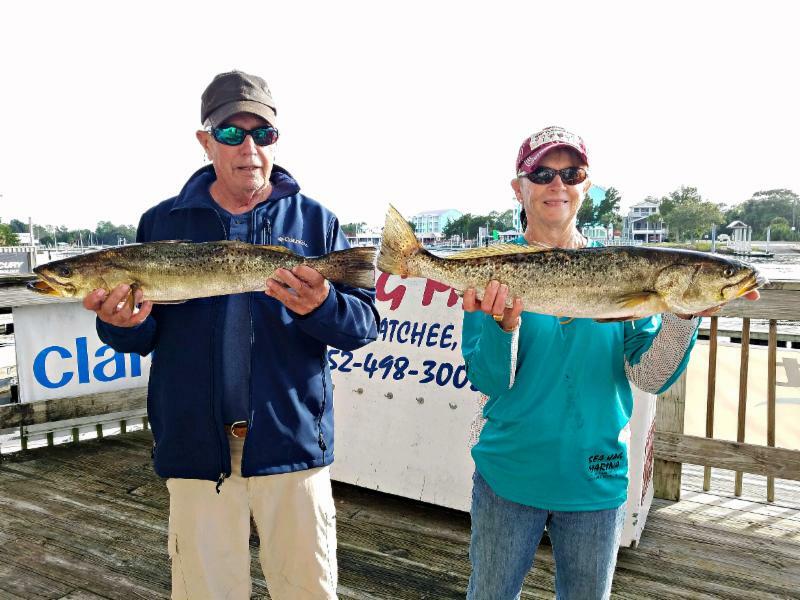 With continued moderate temperatures, the fishing is going to continue to be excellent. Currently the forecasts through the first ten days of February show low temperatures in the 50’s; that will keep the fish on the flats. Because the trout are schooling, it’s best to drift in 2 to 5 feet of water to find schools. We had great success with slow sinking suspending lures such as the Mirrolure XR or Live Target sardines. 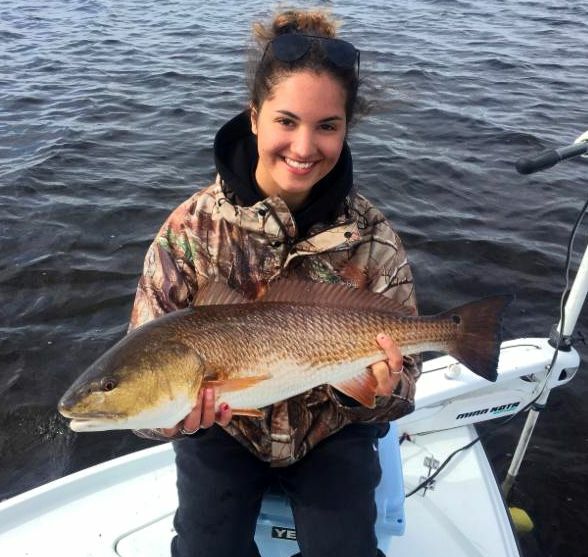 The same plugs worked for redfish, especially when fishing near submerged rocky areas. If you can get live shrimp, drifting them under corks is a great way to locate fish. Remember that you are only allowed to keep one fish over 20 inches, and five fish total per person. Probably sometime this month the nearshore sheepshead spawning season will begin. Rocky areas in 15 to 20 feet of water or deeper will hold the smaller male fish first, later to be joined by the larger females. Fishing live or dead shrimp or fiddler crabs will tempt them. 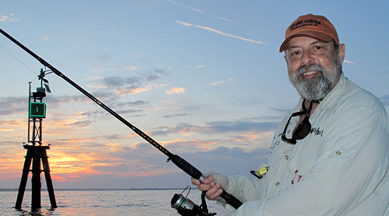 For a good how-to for sheepshead, read Capt. 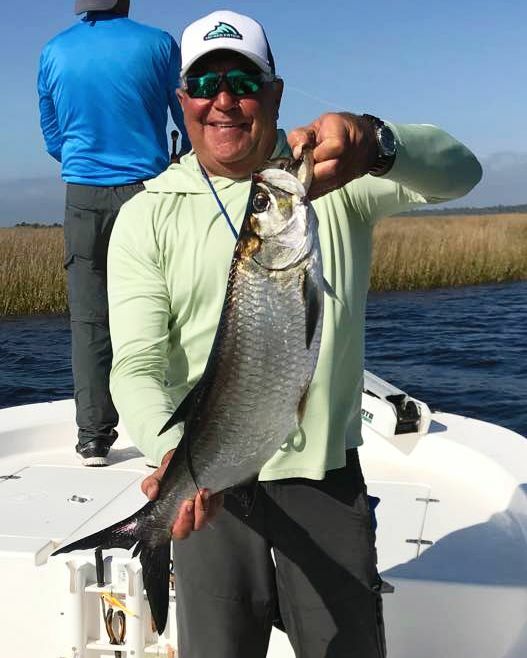 Russ Roy’s primer on the Gainesville Offshore Fishing Club website here: http://www.gofc.us/wp/targeted-species/sheepshead/. Reports from south of our area have shown some giant sheepshead caught already. Check with our Ship’s Store to see if catches have been coming in. 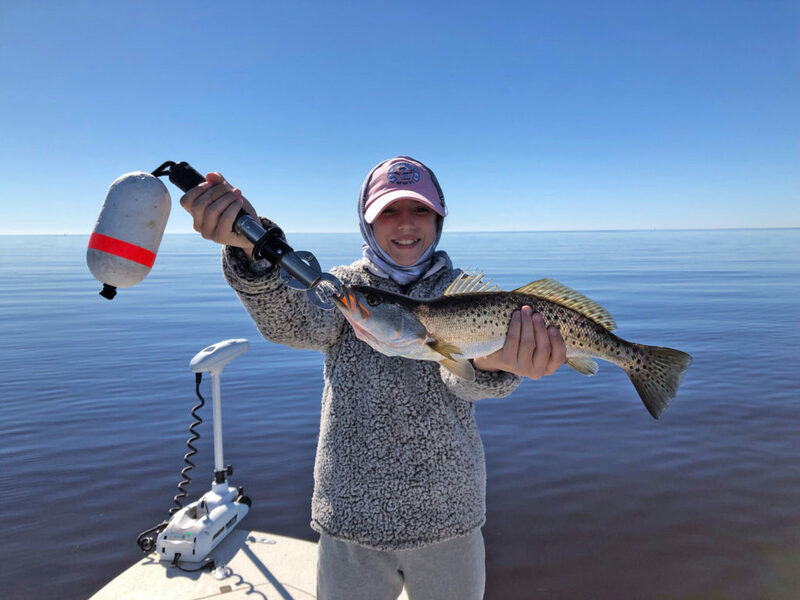 This month will be fantastic fishing when the weather allows, so take advantage and catch your biggest trout of the year and some tasty sheepshead as well. Events: Don’t forget about one of the big annual Steinhatchee events: the Fiddler Crab Festival will take place February 15-17th. Accommodations are going fast, so call quickly. 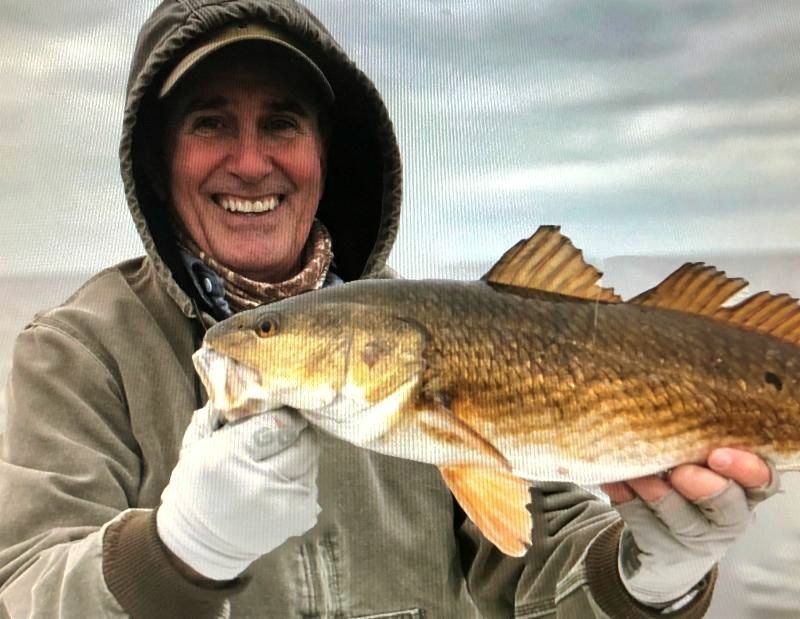 In addition to music, crafts, homemade goods and great food, there will be a fishing tournament on Saturday the 16th, with a required captains meeting at the Sea Hag Marina at 6PM on the 15th. Don’t miss the highlight of the winter season. 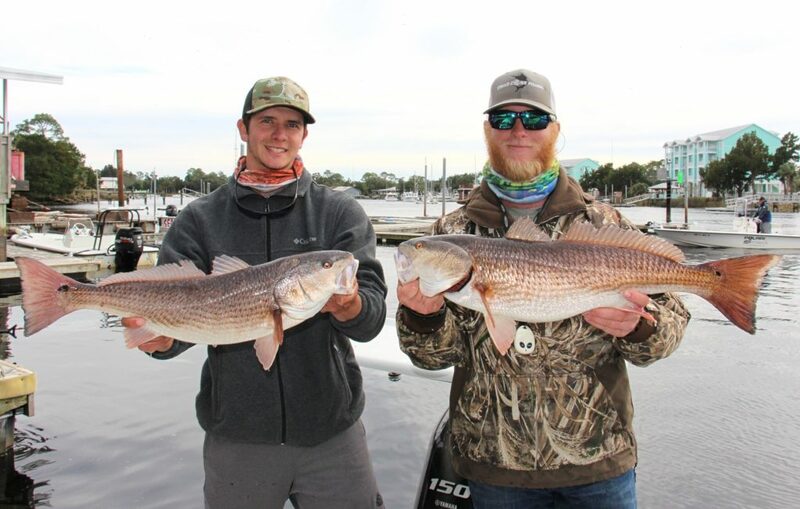 And for those dedicated redfishers, the Power Pole Pro Redfish Tournament takes place Feb. 22-23.